We welcomed our second son into the work exactly 12 weeks ago today. It’s been an amazing, challenging, life-changing time. But there hasn’t really been much of a chance to take stock or smell the roses and last week we were feeling like we desperately needed a break. And that how we came to find ourselves, one week later, packed and on the road heading for Swellendam for a yoga retreat hosted by the Yoga Kitchen. We arrived in Swellendam and got comfy in our gorgeous accommodation for the weekend at the Hideaway. 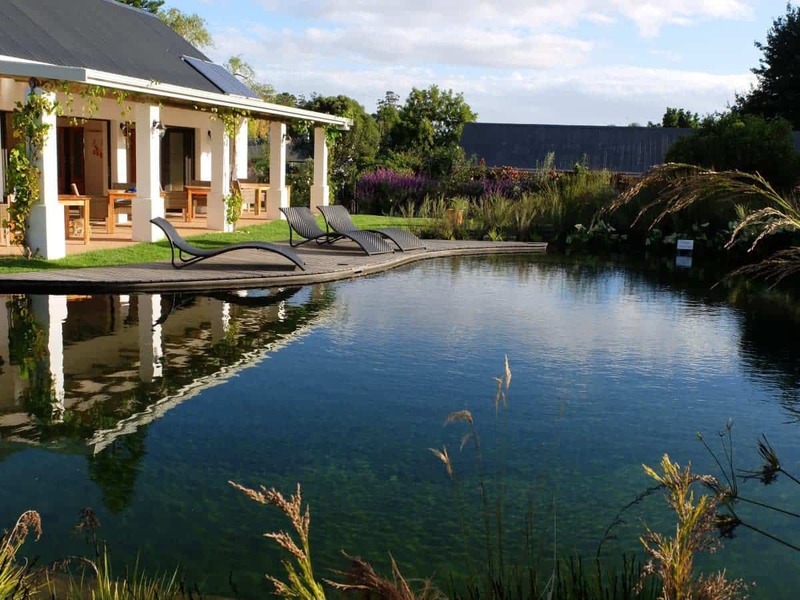 This beautiful spot, run by Stephen and Jackie, is a 5 star B&B situated in the Swellendam town, just off the main road. But looks can be deceiving – from the road it looks neat and well-kept, but when you walk inside there’s so much more – a big garden, full of blooming roses and comfortable loungers, a natural swimming pool and a Jacuzzi and sauna. The rooms are luxurious and have everything you could need for a perfect stay including beautiful handmade furniture, a custom-made mattress and pampering bath treats. Where possible everything has been locally sourced. The range of Rain products in the bathroom was a treat and led us to visiting the shop in town and buying all the things. Rain products are handmade in Swellendam. 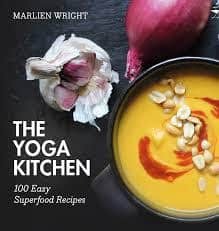 Marlien has recently released her own recipe book (you can order it online here), and it’s packed full of simple, delicious recipes with easy to source ingredients. The book covers a wide spectrum of meals with loads of delicious vege/vegan options. I’ve recently purchased a couple of other recipe books but the complicated ingredients and long recipes mean that they’ve been relegated to the bookshelf. All meals were included in the retreat and were prepared according to Marlien’s philosophy of choosing primarily plant based wholefoods and cooking simple, accessible meals. All the dishes that we tried over the course of the weekend were delicious – a great example of how vegetarian food doesn’t need to be boring! We bought a book to take home and I tried the Mushroom Bolognaise recipe for Meat Free Monday – it was a hit with the meat-eating husband so I’m looking forward to trying more. To book your yoga retreat (and I highly recommend that you do) – visit the the Yoga Kitchen Country Retreats. It’s a great option to go with a couple of friends and with the gorgeous fireplace I can imagine that it’ll be great in winter. Thank you for hosting us Marlien – we loved our weekend away and you’ve inspired us to look after bodies better through altering our eating habits and, of course, getting ourselves to a yoga class every now and then! * We were invited as media to join the yoga retreat, we paid a reduced rate for the experience.